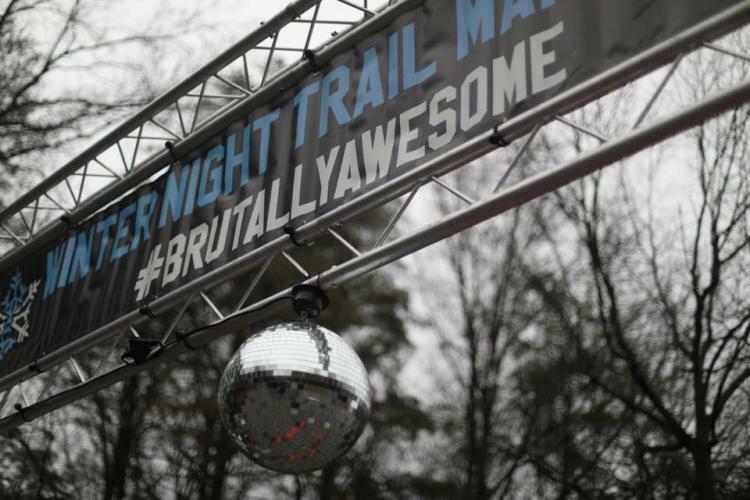 Winter Night Trail Half & Quarter Marathon at Eagle Creek Park ***Sold out! You are here: Home / Winter Night Trail Half & Quarter Marathon at Eagle Creek Park ***Sold out! More About Winter Night Trail Half & Quarter Marathon at Eagle Creek Park ***Sold out! • The 2019 long sleeve hooded tee in Heather Blue – the same awesome hooded tee we’ve used at other 131 Events! • 2019 Finisher Medal, sure to brighten even the darkest of winter nights! Finish this race and you’re one step closer to completing our Night Trail Run Challenge! The 2019 Winter Night & Summer Night Trail events have interlocking medals to make it twice as impressive! • Free to download, high-resolution race photos, professionally shot and never watermarked. • A unique and brutally awesome racing experience on the trails at night in a park that’s normally closed after hours.